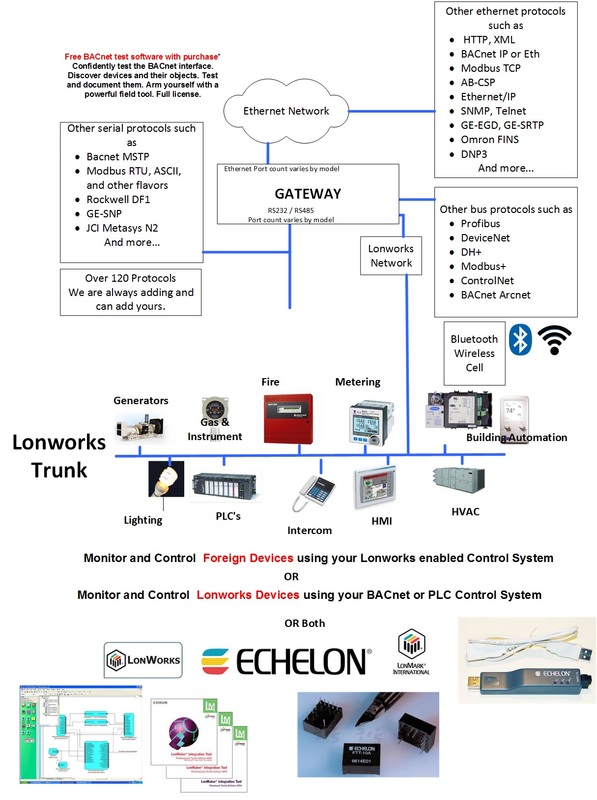 A FieldServer protocol gateway that provides data exchange between Notifier 1010/2020 and LonWorks. It is possible to connect a Notifier 1010/2020 device to any of the eight RS-232 ports or two RS-485 ports. 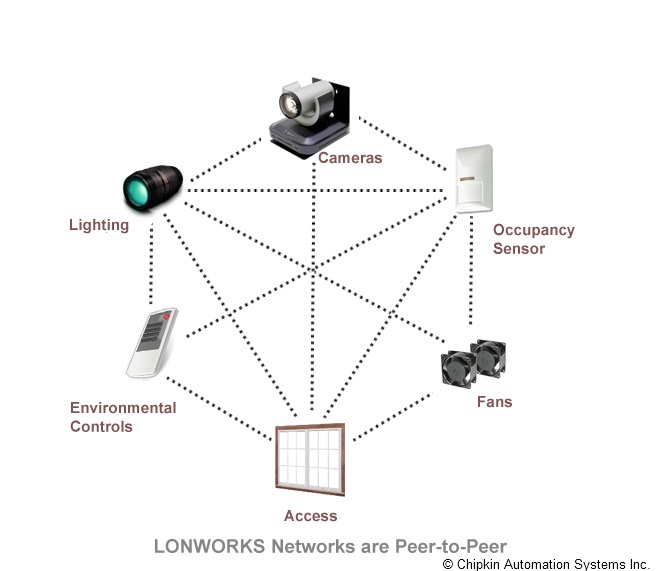 Due to the nature of the Notifier drivers and the adaptability of the FieldServer, configuration of the Notifier side of the FieldServer is straight forward. 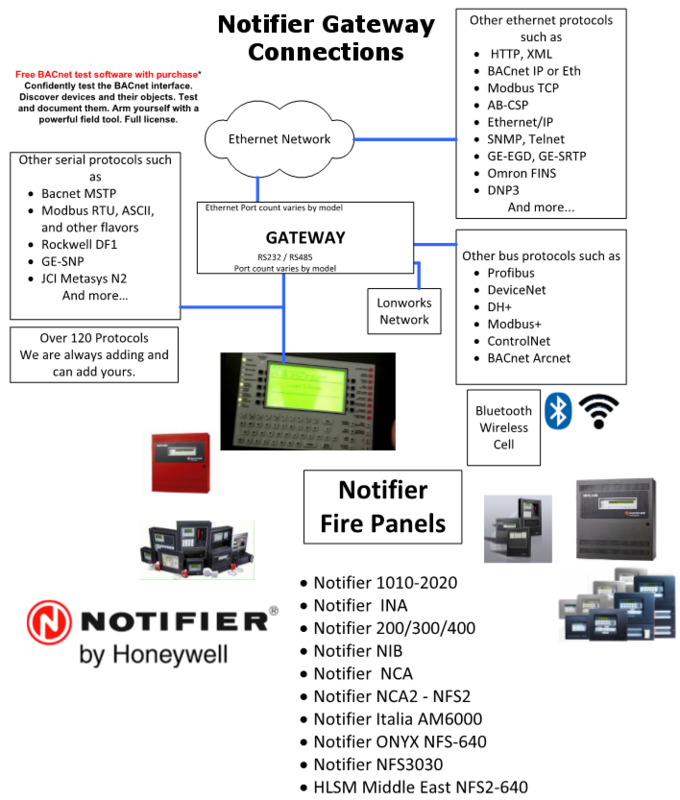 The Notifier driver will always function as a Client driver, thus the primary purpose is for the Notifier Fire Alarm Panel to write information to the FieldServer to be passed on to another device. Three pre-configured Data Arrays are provided with this driver. The FieldServer automatically assigns the device internal Node ID of station 257. The driver is capable of parsing and storing zone alarm and trouble states. They are latched and cleared when a Network System Reset is received.